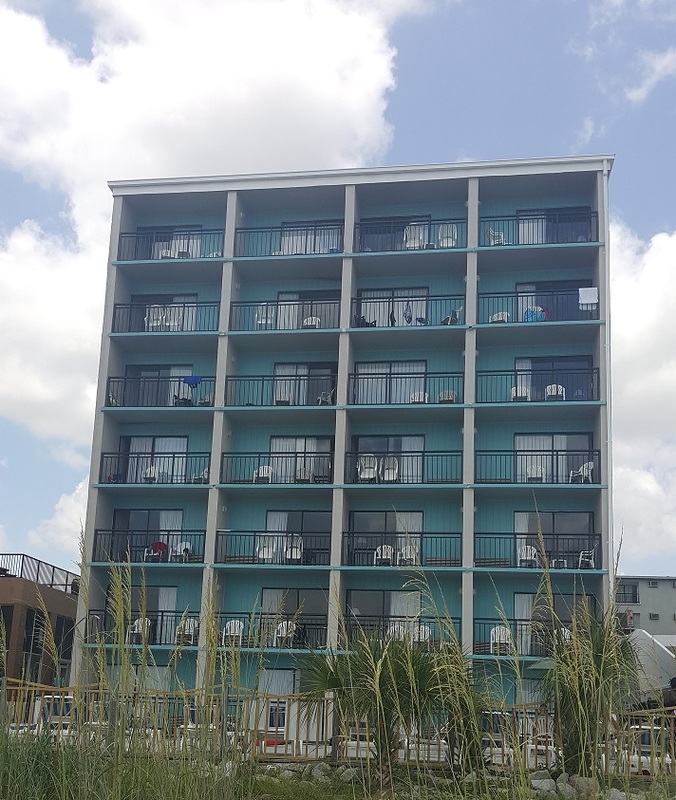 Come visit the Ocean Plaza Hotel located oceanfront and offering enjoyable amenities for everyone. Vacation equals relaxation so let us take you away. You will experience breath taking views from the hotel oceanfront balconies. All rooms include phones, color cable televisions, microwaves, and refrigerators. In addition our efficiency hotel rooms include a stove, coffee pot, toaster, and a limited selection of cookware and dinnerware. 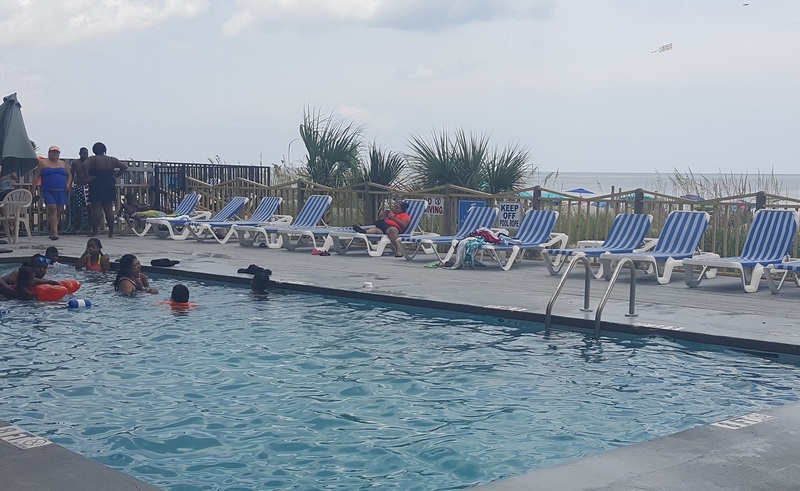 Along with clean and affordable accommodations you can enjoy an oceanfront pool and sun deck to catch some rays. If sand beneath your feet is what you desire feel free to use our direct access to miles of sandy beaches. 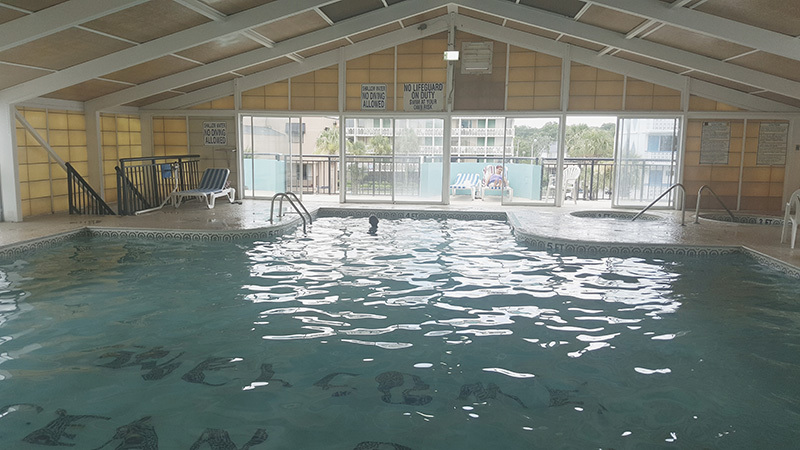 On the slight chance of a rainy day take advantage of the large indoor pool and two hot tubs.